Shane Filan has signed a solo record deal, just months after being declared bankrupt. The former Westlife singer has already begun recording his album in Nashville in the US, which will be released by London Records at the end of the year. His chart-topping group split last year with a series of sell-out stadium shows after a 14-year career during which they notched up 14 UK number one singles. Shane, 33, was declared bankrupt last summer, only a few days before Westlife bowed out with their farewell show at Dublin's Croke Park. His Irish-registered property company had already gone into receivership, thought to be as a result of the country's economic problems. Shane said he was excited by his new deal, adding: "One of the things that pleases me the most about this record is that I've been given the opportunity to write my own songs. I'm so excited for people to hear them." Westlife were noted for the many cover versions they took into the charts. Shane's bandmate Nicky Byrne was a contestant on Strictly Come Dancing last year, while colleague Kian Egan has been a presenter on ITV's This Morning. 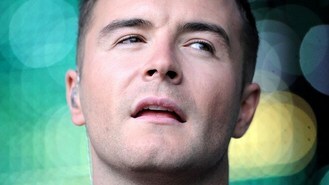 His manager, Louis Walsh, said: "This is a fantastic new deal for Shane." Beyonce looked stunning as she kicked off her new world tour in Serbia, taking to the stage in a series of skimpy costumes. Bo Bruce has revealed her record contract includes clauses for mandatory kisses and chocolate. Rihanna has cancelled a third date on her world tour due to illness. Selena Gomez has revealed her new live shows will be different and more grown-up. Michael Buble has admitted that he doesn't like having women in his crew or as musicians when he's on tour, because he doesn't want to be "surrounded by drama". Mumford And Sons have announced that they will headline a show at the Olympic Park this summer. Justin Bieber has called off his upcoming concert in Oman. The Wanted singer Nathan Sykes is to undergo specialist surgery to save his voice and will take a break from the chart-topping group to recover. Emeli Sande's success looks to set to continue after she was nominated for two prestigious songwriting awards.